How do I upload and share a video using YouTube? 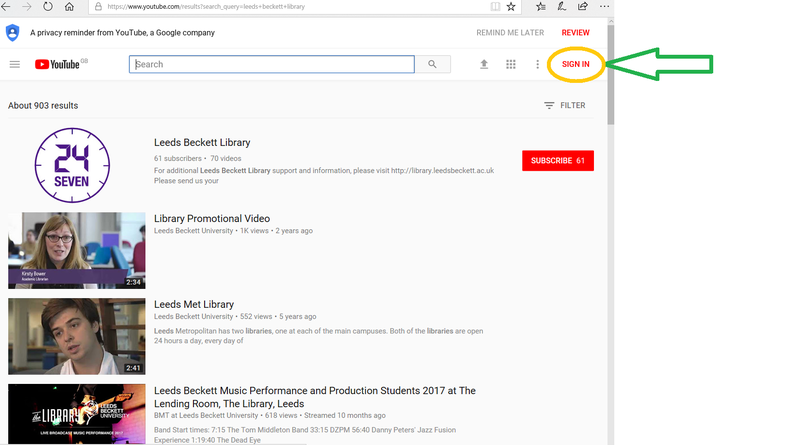 We recommend to tutors that if assignments require a video submission, students should upload the video to their student YouTube account and submit the URL, rather than upload the video directly to MyBeckett. If you need to submit to a module assignment, see our guide How do I submit a video for assessment? The instructions provided by your tutor may vary. 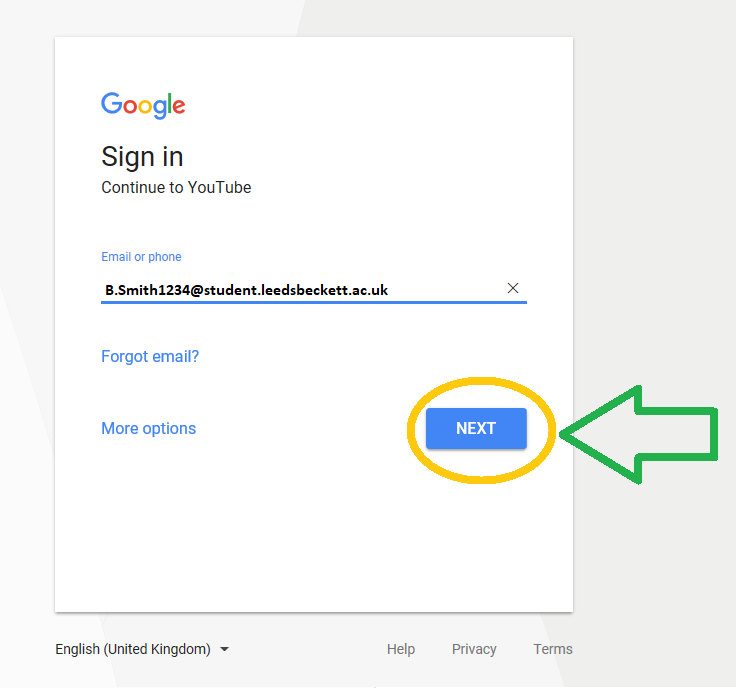 You may be asked to upload a video and then to share the video URL directly via a link in an email to your tutor. 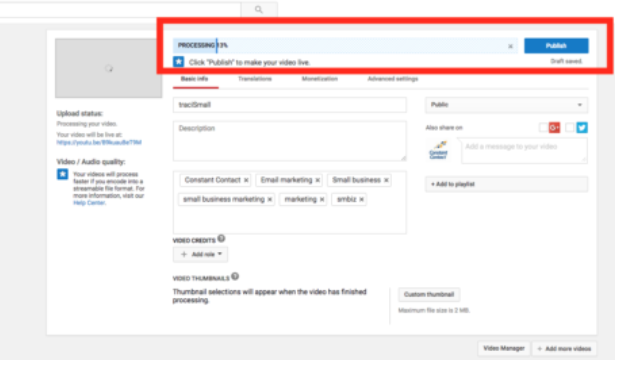 This guide will show you how to upload a video to YouTube. Android and Windows Mobile devices: Connect your phone to your computer with a USB cable and copy the files across. Digital video camera: Connect your camera to your computer with a USB cable and copy the files across. 1. With the video on your computer, navigate to YouTube. 2. Click Sign in (top right of screen). 3. Enter your username e.g. B.Smith1234@student.leedsbeckett.ac.uk and password, then click Sign In. 4. Click Create a video or post icon, then click Upload Video (top right). 5. Click Select Files to Upload or drag and drop your video to that area. Make sure you select Unlisted from the drop-down menu so that only people with a link can view it. 6. Upload time is dependent on file size. Large files take longer to upload. While the video uploads, you can edit the Title and Description. 7. When you're finished, click Done. You'll see the video manager. To return to editing, click the Edit button next to your video. 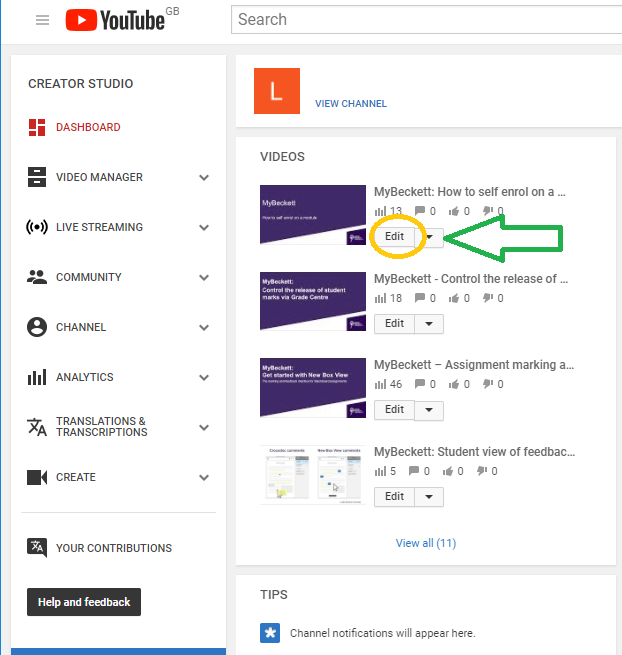 To get your video's URL, click the video title in the Video Manager. Your video opens. 8. 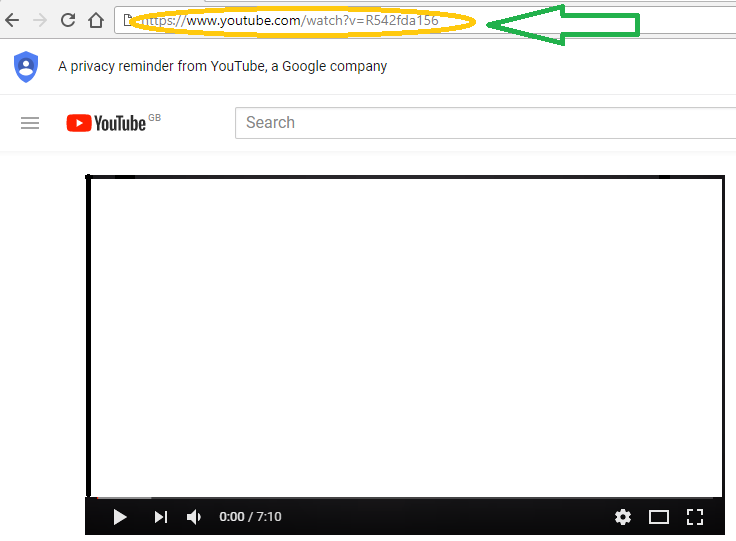 Copy the URL from your browser and share this with anyone who needs to view your video, via an email for example. This is also the URL you need to submit to Blackboard assignments if your tutor has asked you to submit a video.